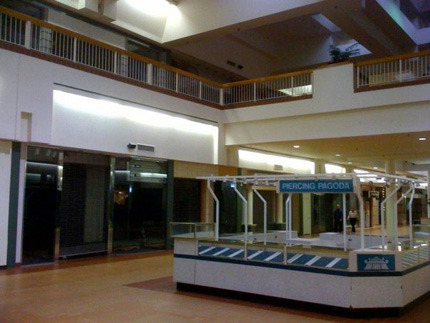 NPR: A ‘Post Apocalyptic’ Feel In R.I.
“My local mall in Rhode Island, which I haven’t visted in about a year, has only five stores left in it. I was talking to the employees in several stores and they all thanked me for stopping by. I saw many vacant storefronts with signs saying, closing in Feb 2009 which were vacant. There is a Sears that has everything on sale, a Walmart and a Kohl’s left. Walking inside felt almost post apocalyptic, it was scary. It’s scary yet at the same time exciting - could we promote a shift in consumer culture for the better?